Research from Aegon show pension freedoms have helped people increase their savings to pensions with average retirement fund size increasing to £50,000 since April 2015. Pension freedoms were introduced in the 2014 Budget by the then Chancellor George Osborne introduced to allow people retiring to avoid buying a pension annuity and take their tax free lump sum with the remaining fund withdrawn from the pension and taxed at their marginal rate. 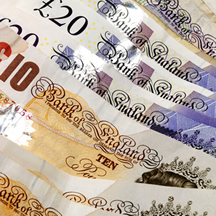 New research from Aegon has found the 5.5 million people in the UK are saving more into their private or workplace pension because of the reforms. The average pension fund has increased from £29,000 in April 2015 to £50,000 today, an increase of £21,000 and the pension freedoms have also directly prompted more people to consider their future plans. Results from the Aegon research show 15% of people have realised they need to plan more for retirement, up from 10% in April 2016. There is a growing level of engagement reflected in people’s financial planning where 50% of the UK population had taken no steps to review their retirement plans in April 2015 and this figure has reduced to 36% today with one in five people have reviewed their plans in the past six months alone. Steven Cameron, Pensions Director at Aegon said the 2015 pension reforms put many more retirees in the driver’s seat for the first time, two years on and all the signs point to the pension freedoms having paved the way for a smoother road to retirement. People have moved up a gear, saving more and becoming more engaged with their pensions. In addition the proportion of people engaging with an adviser on their plans for retirement has almost doubled in the last 12 months. By becoming more active reviewing their retirement plans people are also more realistic about their aspirations for retirement income. The average annual income people would like in retirement is £32,000, a fall from the £38,000 in April 2016 and lower again than the £41,000 people were hoping to retire on at the time of the pension freedoms. Even so these expectations of pension income are still above the average UK income of £28,200 and much higher than the average pensioner income of £296 per week or £15,392 per annum. From the UK population almost 29% are opting to put off the decision about what they plan to do on reaching State pension age and about 25% now expect to stay in work full-time past 65 and a further 25% anticipate that they will continue working part-time. Just one in ten people are set on stopping work immediately on reaching State pension age and a further 8.5% hope to have already stopped working by the time they are 65 and this means 80% of people are likely to continue in work this age. 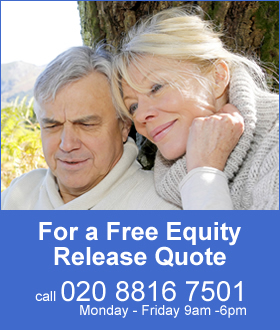 This is where the pension freedoms are helping to offer choice when taking benefits using flexi-access drawdown or fixed term plan. Mr Cameron said, we are now in an era of personal responsibility for long term saving. The freedoms bring an increasing number of income choices, while the decline of generous final salary pension schemes means that retirement income will be more closely linked to contributions made through life. The challenge is to engage people early enough to give them choice about how they finance their retirement.